Over the Counter VS Medical Grade Skin Care Products? Magazine ads, TV commercials, and pamphlets feature our favourite celebrities showing off their flawless skin. Their gorgeous skin is usually due to highly marketed over the counter skin care products. Either that, or high priced, fancy packaged department store products. What is far better is a trip to the doctor’s office. This means pharmaceutical grade products that guarantee the transformation of your skin with science. Determining what to invest your money in and obtaining the results you want can be frustrating and confusing. Basically, what it comes down to is understanding the difference between pharmaceutical grade and over the counter products. Over the counter products (OTC), are skin care products that are accessible though drug stores. They can be purchased and used by anyone without consulting a skin specialist. This happens because all OCT products have a low number of active ingredients. Studies show that 90% of the contents found in their products consist of water and filler. Sadly that leaves the remaining 10% to the ingredients that actually treat your skin. OTC products are not approved to penetrate the outer most layer of your skin leaving all active ingredients sitting on dead skin cells! Someone suffering from acne, developing sun spots, or seeing the first signs of aging need skin care products that penetrate the deepest level, not sit on skin that is constantly shedding. Over the Counter products are meant to have a long shelf life, several of the chemicals added contain carcinogenic and synthetic ingredients affecting the safety and efficacy of the product. With that being said, a scary fact, OTC products are not required to have any clinical studies done. Why waste your money on a product not proven to work or not able to penetrate your skin? OTC products certainly have an affordable price tag, but when you look at the active ingredients and what the product is going to do for your skin, it’s like purchasing a very expensive bottle of water! Medical grade skin care products are known for their high concentration of active ingredients. They are only in stock in dermatology offices or clinics that are ran by a medical director. A consultation with a Dermatologist, Nurse or certified Medical Aesthetician is required to purchase these highly-concentrated products so you can be sure you are investing in a skin care line that is going to transform your skin. Medical grade skin care products are scientifically proven to work through years invested in clinical research. Their studies have been published in numerous medical journals, this and their high concentration of active ingredients is why they are found at a higher price margin than OTC products. They are formulated to reach the deepest levels of the skin to help produce cell turn over, collagen, and elastin production reducing fine lines, wrinkles, age spots, acne scaring and other problematic areas. When using a direct sales consultant to purchase products, you may, or may not be getting quality products. They come with expensive price tag and amazing before and after pictures to show end point results. However, you are purchasing from someone who did not go to school for skin care or has not taken any courses. They will not know what active ingredients work with specific skin types, and do not have the education. When you purchase medical grade products you get high quality, skin transforming ingredients. With years of education, the individual who is recommending them to you knows what they are talking about. 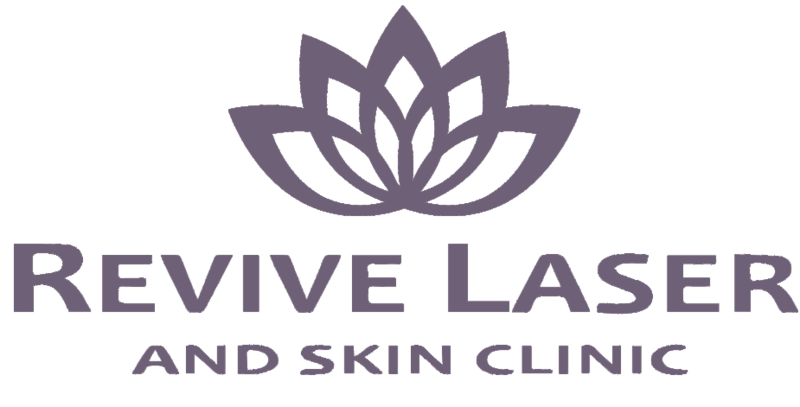 At Revive, we analyze your skin going deep beneath the surface to figure out exactly what your skin needs. Whatever your skin type, or if you have a skin condition, we have the education and the training to help you transform your skin.